it is a skeleton of saplings. Sometimes, even, they bud and green. the robe of blue silk. Poem by CB Follett from "Houses"
she enclosed a pentagram of green. 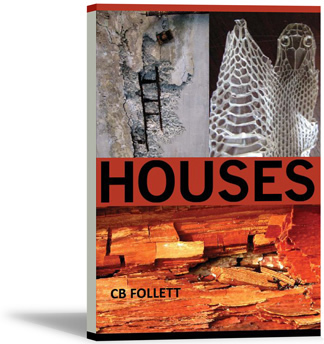 To read this book is to take a delightful, wildly imaginative tour through a series of improbably desirable homes.